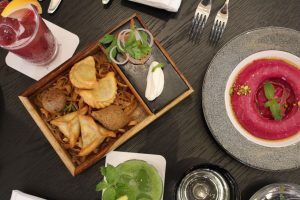 DUKES Dubai, the quintessentially British, five-star hotel on Palm Jumeirah, is marking the holy month with a carefully curated menu of traditional favourites including juicy dates, Arabic mezze and indulgent sweets. 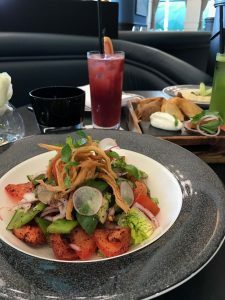 Iftar and Suhour will be served at the hotel’s signature brasserie-style outlet Great British Restaurant (GBR), which boasts a dramatic setting overlooking the Gulf, with a live oud player enhancing the authentic ambience. There are five different Iftar menus, served buffet style, that will rotate every five days. Cooking stations will offer a selection of delicious dishes including healthy salads, hearty soups and Arabic mezze. 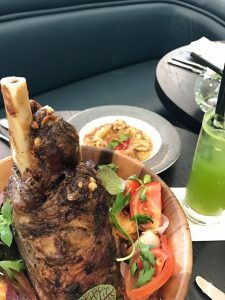 Larger appetites will enjoy traditional Arabic dishes, such as stuffed chicken with coriander mousse, Arabic mixed grill and Kibbeh Bil Laban. Diners will also have the chance to sample delicacies from the emirates, including camel meat and Lamb Ouzi with saffron rice. 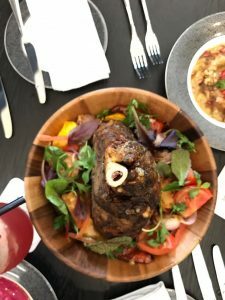 Favourites from Morocco, like Plum Lamb Tagine and Lamb Liver Pastilla will tempt alongside Indian dishes including Prawn Biryani, Aloo Gobi and Lamb Vindaloo. A choice selection of international dishes such as Fish and Chips and Grilled Beef Rib Eye with mushroom sauce ensure all tastes are catered for. 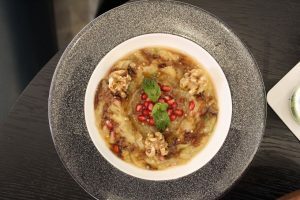 Those with a sweet tooth can tuck into a variety of much–loved desserts such as Amar Al Din Pudding, Umm Ali and Baklava, as well Salted Caramel Tart and Blueberry Cheesecake and fresh fruit, among others. Iftar will be served from sunset until 9pm and is priced at AED175 per person including soft beverages, or AED145 per person for groups of 10 or more. Suhour, served from 9.30pm to 2.30am, will be offered à la carte and features delicious options such as soup, hot and cold mezze and other tasty finger foods including grilled halloumi, falafel platter and fried calamari. 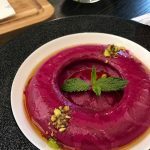 An extensive range of salads and sandwiches, mixed seafood and grill – think lamb kofta and chicken shish tawook – will be complemented by rich desserts such as Pistachio Mahalabia and Date Pudding, all washed down with refreshing Ramadan juices. Owned and operated by Seven Tides, the 279-room hotel and 287-hotel apartment complex, which opened to the public at the end of March 2017, is located along the main trunk of Palm Jumeirah overlooking the Arabian Gulf, Burj Al Arab and Dubai Marina. A key feature is the Duchess Floor, dedicated to female guests, which features 20 exclusive rooms with private lift access, women’s only public spaces and discreet and private access to rooms.